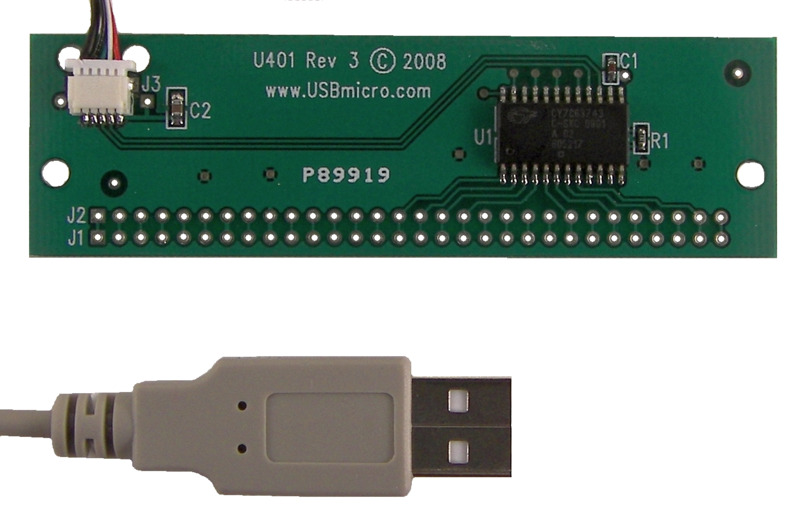 USBmicro – Your source for USB electrical device interface products. 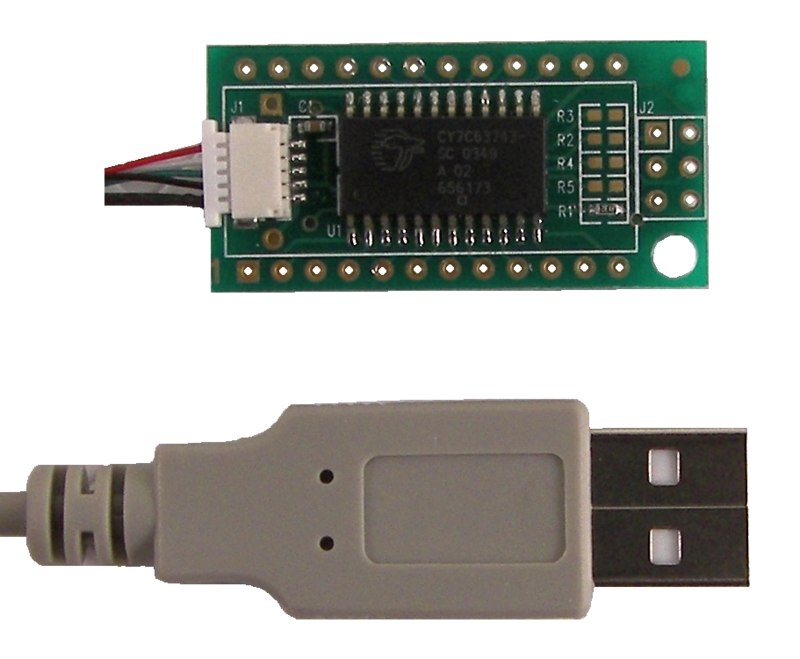 With the USBmicro products, you can utilize the USB port on your computer to interface with various electronic devices. 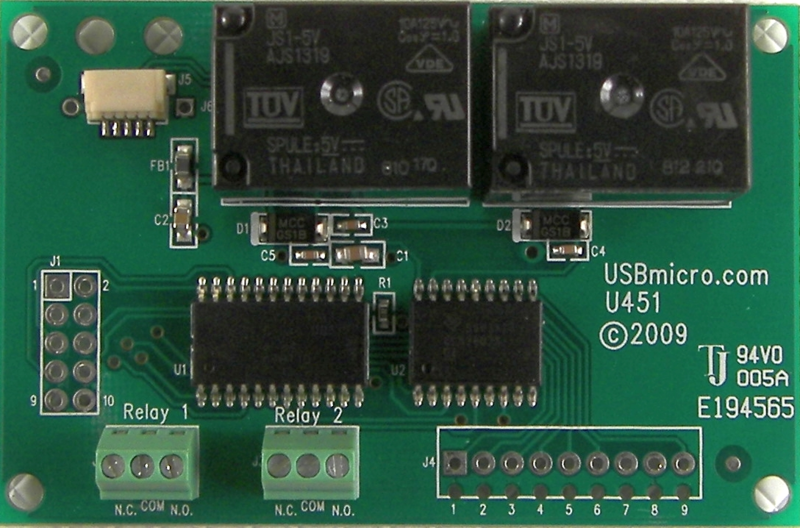 The USBmicro products provide a range of devices that allow you to use your personal computer to interface to and control lights, LCD displays, SPI (3-wire interface) analog and memory devices, 2-wire interfaces (such as I2C), stepper motor drivers, switches, 1-wire (Dallas⁄Maxim) devices, relays, and many custom circuits. USBmicro products are available for purchase worldwide from Dontronics. Feedback about the ODN is encouraged. You can email the ODN author ( Contact USBmicro ) with questions, suggestions, or information about errors. All pages on this web site and all pages included in any off-line version of the ODN are Copyright USBmicro, L.L.C. 2001-2010. The U401 devices are SimmStick(TM) Compatible. Dontronics has a U.S. pending trademark registration on “SimmStick”, with the US Patent and Trademark Office. “Windows” is a trademark of Microsoft Corporation. “Macintosh” is a trademark of Apple, Inc. “Red Hat” is a trademark of Red Hat, Inc. “Delphi” is a trademark of Borland. “1-wire” is a trademark of Dallas⁄Maxim. Other trademarks are the property of their holders.